I would give this to a friend if I won. Ordered mine before it was even released and cannot wait to watch it. Would share one with my church family and see how it could be used in small groups, etc. I would give it away to a friend in need. I have never wondered where God was. I know that we have been left to do what we will here until He intercedes, which He will do at the time He has decided. I would keep this for myself. I definitely have had some friends pose questions to me after suffering great loss and would like to see this video to be more prepared to help. Sounds like a good movie. US only so I can't enter but thanks for the info. This DVD is one I would want to watch with family and then share it to spread the word! If I won, I would donate this to the library - I love being able to add stock to their inventory. This would be a great family night movie to help keep us humble & grounded. Great giveaway. 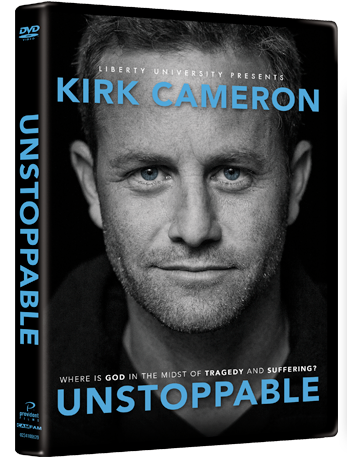 I love Kirk Cameron. Hugs and prayers. Having God in ours lives sure helps us through the pain. Love this movie. I'm a blogger also and got to watch it. Yes I feel the pain now as a matter of fact and keep asking god what is suppose to be our plan right now. Nothing seems to be going right and I just don't understand why? =( I would watch it with my family. I'd like to win this to watch with my family, and to share with my husband's grandma. I would really love to win this for my brother. I try not to ask God why, because I know that He is just doing what is best. I have been through that type of pain before back when my Mother and Father passed away just two and a half months apart. I would love to give this to my mother in law after I watch it with my family. Thanks for the chance to win it. I think I would keep it for my family. It's relevant to everyone. I would keep this movie for myself and family. I lost my father, he was only 51 years old. The pain of loss was beyond words, but I knew God was with me. I would keep this to watch with my son. He loves movies like fireproof and courageous. Our family is having a struggle right now due to an extended family member. It has caused a lot of pain but he'll get us through it. I saw this movie in the theatre and loved it. I would give it to my friend who seems to be going through depression.